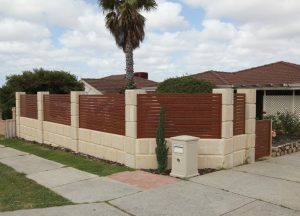 Looking for fencing builder in Joondalup? The question is, who will you hire to handle your fence installation project? There are a lot of fencing companies out there. That being said, very few of them offer professional fencing services in Perth competently, reliably and affordably like Team Work Fencing Contractors. At Team Work Fencing, customer satisfaction is our top priority, and our fencing firm has the resources and expertise to perform high-quality fence installations and maintenance, regardless of project scope. Catering to the fencing needs of commercial and residential property owners throughout Western Australia for over a decade, our contractors are experts at installing chain link fencing, security palisade fencing, Garrison fencing and pool fencing in Joondalup area. Gates and custom features can be added as required. We also do commercial and residential installations of PVC vinyl fencing, wooden fencing, brush fencing, rural fencing and aluminium slat fencing, with a speciality focus on COLORBOND® fencing Joondalup and HardieFence™ fencing. As you might expect, we also handle professional fence repairs. Whether you are looking to add a layer of security to protect business assets or you need an attractive home fence that deters intruders, adds privacy or divides property lines, Team Work Fencing has got a fencing solution for you. We’ll even come out to your property and provide a no-obligation fence quote. To learn more about us and the fencing Joondalup services that we provide, please browse our website. Alternatively, you can contact us here to discuss your fencing requirements.